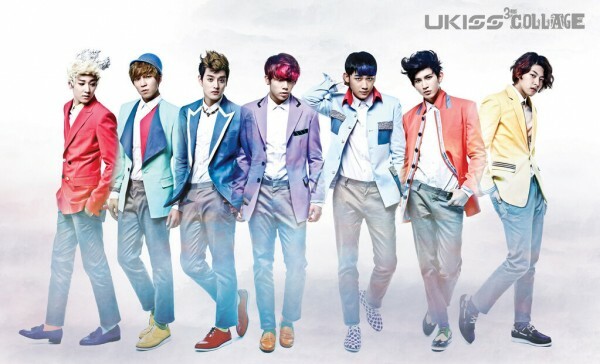 U-KISS is for me the most underrated Kpop idol in Korea! I don’t know why they aren’t as popular as they are all around the world. They aren’t rookies anymore actually.. but still they don’t have that much of a following in the Kpop world. I’m not sure why, it could be because when they debuted, Kpop was ruled by the likes of DBSK, Super Junior, SS501 and Big Bang. However, it’s been years now and I can’t comprehend why they’re not that popular. – end of rant.. 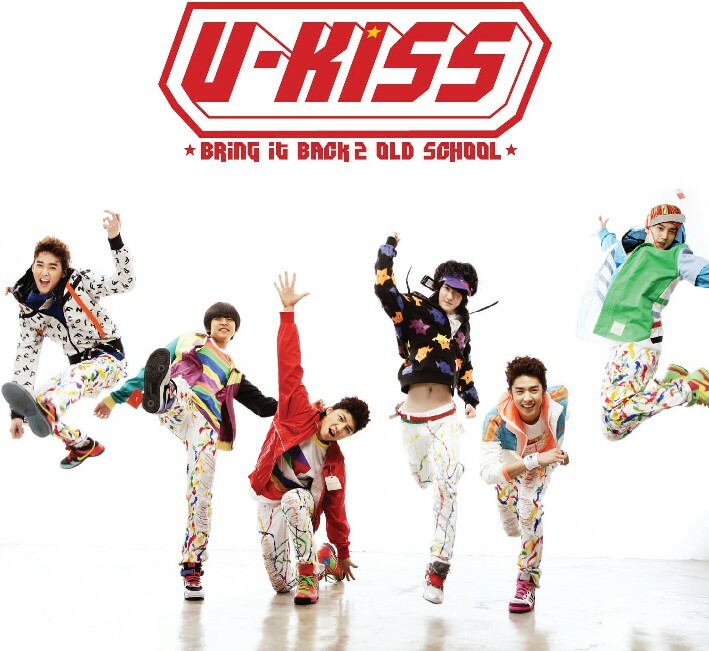 I like Ukiss since I heard Bring It Back to Old School. I think they have a certain charm for me that’s why I like them. Also, as I was new to Kpop that time and I did not understand absolutely any Korean, I was kind of happy to find Ukiss that time — because some of the member can speak English. I think this was the reason I liked them from before until now. I appreciate it a lot that they were the first to reach out to the international audience using English. So them boys have released a new single called Standing Still from their album Collage and AJ is back from his hiatus! Wohoo. Well, to me there is nothing really special about the video… just them dancing with some screens of a girl with very scary green cat eyes. I’m not sure why she is there.. but I think it might have something to do with the song or something. I am guessing that the concept of the video was to show that the person is strong after all hardships.. love I guess in the video and is standing still. It’s just my guess. Personally, I think this is not the best Ukiss video. I mean, they’ve done this concept before. It reminds me a lot of Manmanhani (Am I That Easy?) and Bingeul Bingeul. But every time they release a video, I look forward to their dances. I don’t want to compare them to any other group, but I am just happy to see them even after all these years, they are still doing the thing they are good at.. making good songs and good music. It’s a nice song! Not the best Ukiss song though.. 0330 is still my favorite, but not bad at all. When I hear this song it’s like it’s something different from their past songs, but at the same time there is some Ukiss sound that I feel I am familiar with. I can’t really pinpoint. But this song is not as strong as Stop Girl or Manmanhani. I think it would get some getting used to appreciate it fully. But it’s Ukiss just the same so I like it. A bonus for all Kiss Me’s is that AJ is on this song! I’m sure Kiss Me’s have missed him.. but he’s back! It’s nice to see all Ukiss together.. though I still miss Xander and Kibum. Great to have him back. Also, I like that they are giving a lot more recognition for Soohyun’s talent now. I love Kevin, but Soohyun’s voice is more powerful for me.. but he’s not given too much attention. Glad to have them back! Final Verdict: It’s not the best Ukiss song, but I like it just the same. Because it’s Ukiss. They’re underrated but they are as talented as other Kpop artists. The MV is just so-so though. Remember Boys Generation from last years performances?? Last year it was just Sungmin, Shindong, Jo Kwon, Seung Ri and Tae Min. But during last Friday’s performance, there were 9 of them (minus Seung Ri though :() — new addition to the group were Yesung, Eunhyuk, Nichkhun, Jaebeom and Taecyeon. This time the boys were singing Gee! Absolutely had fun watching the performance especially when I see Jo Kwon! ahaha he really could carry the part! It was fun watching the performance especially when seeing the new additions to Boy’s Generation. Sungmin looked cute – and he still carried the part well though he was sick at that time. Hyukie did a rap part… It was fun watching the 2pm guys – can’t get enough of Taecyeon’s part! wahaha.. so unlike him! ahaha.. Must see!! !